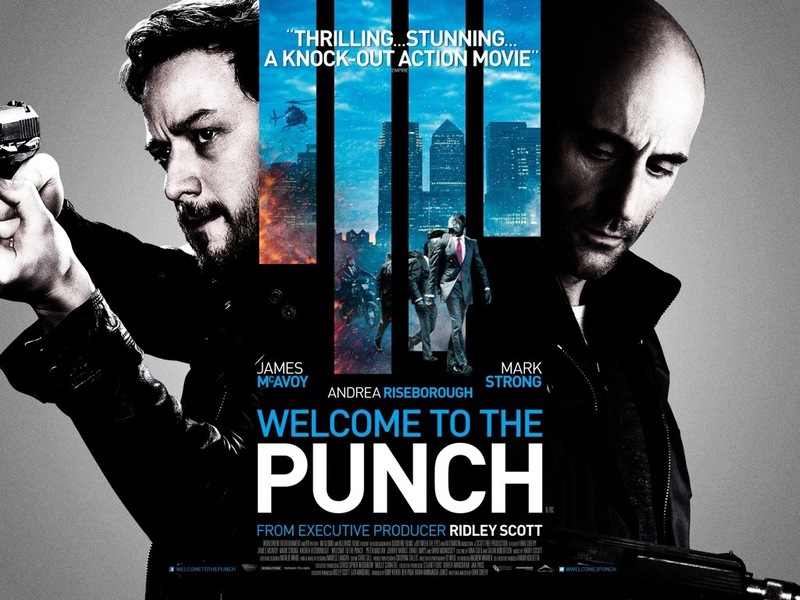 Starring: James McAvoy, Mark Strong, Peter Mullan, Johnny Harris, David Morrissey, Andrea Riseborough, Daniel Mays, Jason Flemyng, Daniel Kaluuya, Elyes Gabel, Ruth Sheen, Steve Oram. 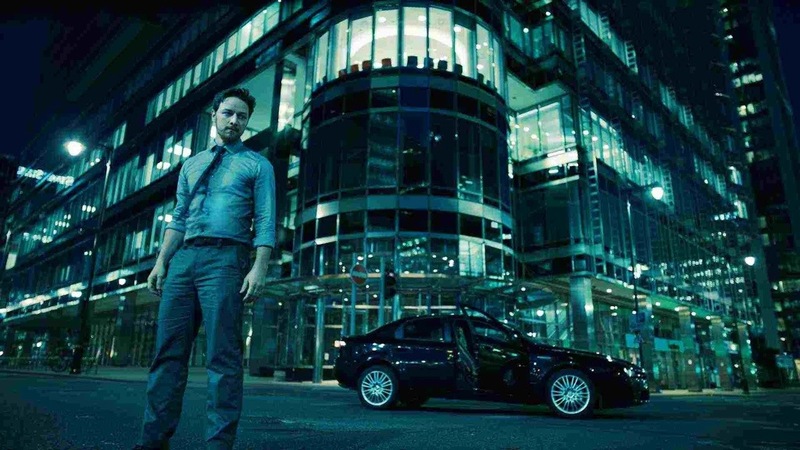 This film marks the start of a trilogy of UK ventures from actor James McAvoy in 2013. It was released practically back to back with Danny Boyle’s “Trance” and an adaptation of the Irvine Welsh novel “Filth” will complete McAvoy’s year. Let’s just say that he hasn’t got off to the best of starts with this one. Jacob Sternwood (Mark Strong), doggedly determined policeman Max Lewinsky (James McAvoy) is shot in the leg which allows Sternwood to escape. Now disgraced within his precinct, Lewinsky believes he will never get the chance bring Sternwood to justice. That is, until Sterenwood is forced out of hiding to return to London from his Icelandic hideaway and hunt down the man responsible for shooting his son. Lewinsky is given the perfect opportunity to rescue his reputation but he also uncovers a deeper conspiracy involved. I’ve said it countless times before but I’m afraid I’m going to have to say it again; I’m not a massive fan of the action genre. I find it all a bit hollow and the story and logic always suffer for the sake of set-pieces and excitement. This has that very same problem. The reason I went into this was for the actors and the curiosity of how a British made movie, in this genre, could compete in terms with the U.S. At least, on both these accounts, I wasn’t disappointed. McAvoy, once again, proves his leading man credentials with fine support by Mark Strong and British character actors like Peter Mullan, David Morrissey and Johnny Harris. The film’s, near futuristic, look and gritty feel is also perfectly fitting and for a change, a British action movie handles itself just as well as any other. However, it’s ultimately no different from the mind-numbing, generic dross that this genre so often delivers and the plot, as expected, has holes aplenty. In fact, they are so wide, they are actually quite offensive. Despite it trying to play clever and keep it’s cards close to it’s chest, it’s all rather predictable and leaves you with the feeling that you’ve just wasted your time. Eran Creevy does well, in the directing stakes and conducts his action set-pieces with impressive ease but his script has more creeks and holes than his protagonist’s dodgy knee. If it wasn’t for the committed actors and the neon-infused cinematography by Ed Wild, this would be a complete write-off. With a better script and more respect for the audience this could have been a lot better. Sadly, it has neither of these and carries so much self-indulgence it would be more aptly titled… Welcome to the Paunch. This entry was posted on April 12, 2013 at 11:45 am and is filed under Action with tags 2013. You can follow any responses to this entry through the RSS 2.0 feed. You can leave a response, or trackback from your own site. Nice review. I haven’t heard of this film before and I don’t think I’ll be seeing it. Cheers man. It’s okay but not really my thing. Action fans will take more from this. Nice one Mark. Seems a real case of style over substance, this one. I think you’ll like Trance a bit more than this one from the sounds of things. Cheers Chris. Yeah, it definitely is style over substance. The styles great and the actors are good but the script is pretty poor, man. Just kidding, I know you’re not his biggest fan. hmmm never heard to this one, sound interesting. Action fans will like it Adam. I’m just not one of them but I can totally see why someone could get into this. Yeah, here goes. SPOILER ALERT. Let’s see, by bring in guns and distributing them the anti-crime candidate(the bad guys shill) gets elected and let’s the bad guys sell more guns? That’s one wacko plot. In addition, at the end, I don’t know if McAvoy stops them or he’s set up for a fall for the whole thing. But it hardly matters. I did like Mark Strong’s character, I was rooting for him. Too bad the story didn’t match the action. Yup, I pretty much second that Ray. It could have been a lot better but the script was rather poor and so many things were ludicrous. I wasn’t sure what supposed to think at the end either. In all honesty I don’t think it knew how to end. p.s.stumbled it too, let me know if it pick up on there. Well, McAvoy still has “Filth” to come out and if his character is anything like the book then it should be a juicy role to really prove himself. Yeah, I kept this very concise. A mixture of time and effort, really. Plus there’s not really a lot you can say about action movies I find. It’s okay but not really my bag. Fans of the genre may take a lit more from it. Ha that’s all very true. Really like mcavoy always have. Just posted trance far better movie. Filth should be good. I have a greater love of action than yourself but not much you can say about many of today’s action offerings. I really like McAvoy as well and he’s good in Punch. The problem doesn’t lie with him at all. It lies in a sub-par script. Can’t wait to see Trance and Filth, though. It could be a good year for him. I think I’ll like those two films more than I did this. Kinda bummed to hear this wasn’t better. It’s definitely one that caught my attention. I’ll probably still see it but with a bit more tempered expectations. Good stuff buddy. Cheers man. It isn’t all bad. The actors and style are satisfying but I just couldn’t get past the script and plot holes. Many will be more forgiving than me, though, and enjoy it for what it is. Great review. I didn’t like this either and for the exact same reasons. Cheers man. Yeah, if only the script was tighter, this could have been great. Thanks for dropping by buddy. I think I’ll catch this one on Netflix. Well done Mark. Cheers Chris. I’d be interested to hear how you see it. There’s not many reviews kicking around but it has been widely released (at least in the UK). Fantastic review Mark!! It’s a bummer that this wasn’t as good as it could’ve been. “I find it all a bit hollow and the story and logic always suffer for the sake of set-pieces and excitement.” I so agree with you! There are getting to be more and more action films like this that are more about the shoot-em-ups than the story/characters. That’s why thrillers like The Insider, Heat, etc are so rare. Ah well, I’ll still rent this one day for McAvoy, Strong and Morrissey, who I wish get more prominent roles in Hollywood. Yeah, a right good thriller is very hard to come by but the ones you mention (The Insider and Heat) are exceptionally good. Very few of those come along. This is okay, but had a lot more potential. If you enjoy the actors (which I do too) then there is at least something to take from it.